Busby is the English name for the Hungarian prémes csákó or kucsma, a military head-dress made of fur, worn by Hungarian hussars. In its original Hungarian form the busby was a cylindrical fur cap, having a bag of coloured cloth hanging from the top. The end of this bag was attached to the right shoulder as a defense against sabre cuts. British busbies come as two kinds, first is the hussar busby, cylindrical in shape, with a bag; this is worn by hussars and the Royal Horse Artillery, and secondly the rifle busby, a folding cap of astrakhan (curly lambswool) formerly worn by rifle regiments, in shape somewhat resembling a Glengarry but taller. Both have straight plumes in the front of the headdress. The popularity of this military headdress in its hussar form reached a height in the years immediately before World War I (1914–18). 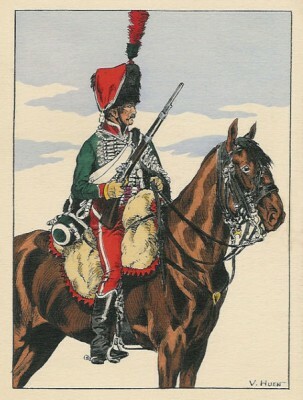 It was widely worn in the British (hussars, yeomanry, and horse artillery), German (hussars), Russian (hussars), Dutch (cavalry and artillery), Belgian (Guides and field artillery), Bulgarian (Life Guards), Romanian (cavalry), Austro-Hungarian (Hungarian generals) Serbian (Royal Guards), Spanish (hussars) and Italian (light cavalry) armies. The busby should not be mistaken for the much taller bearskin cap.